Water so clear you feel thirst when you look at it, lapping up against a rocky beach, surrounded by cliffs off which tanned, local kids jump. 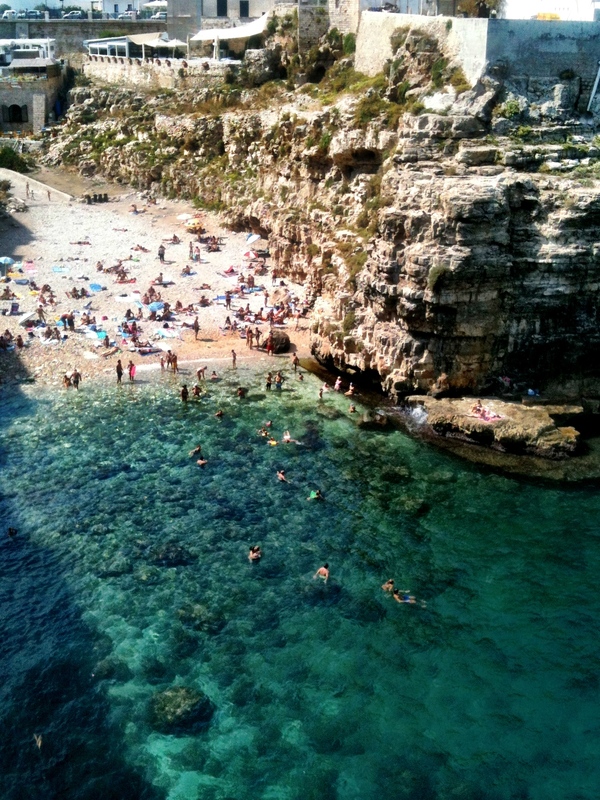 This beach scene is the first thing that strikes the visitor to Polignano a Mare, the postcard-view of the place that one can see off a bridge from the main road as one arrives. It’s perhaps one of the most beautiful places I’ve ever seen in Puglia, one I can picture staying a whole week in, alternately lazing on the beach, soaking in the water where you can see the coral below, and enjoying a stay in a little apartment off a whitewashed alley in the historical town. 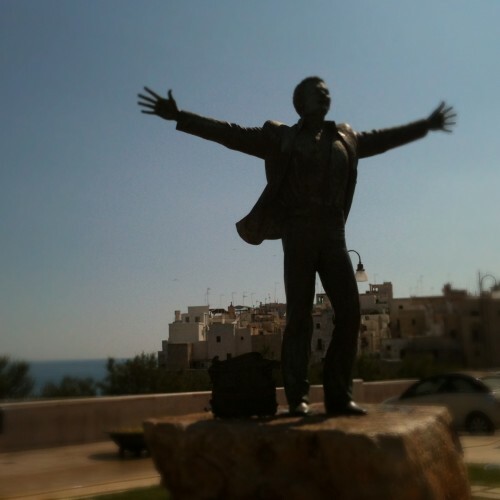 I recently published an itinerary for one week in Puglia and this town is part of it. I have visited it only as a day trip, but I got the feeling that I would be happy to stay longer because there’s a sensation of youth and livelihood here that I don’t often get in small towns anywhere in Italy, and even less in the south. There is a large public internet point, active graphic artists and a contemporary art museum in this town. 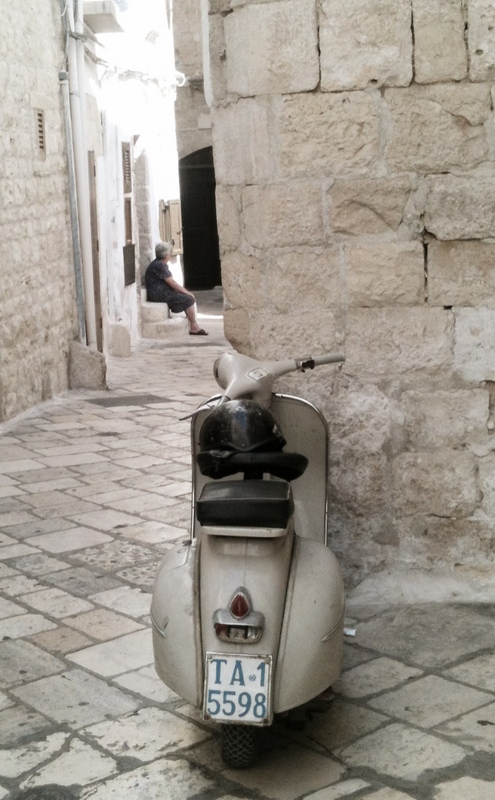 But of course there is also the charming sense of age, the people sitting outside on steps, the whitewashed streets punctuated by colourful characters and amusing vehicles. 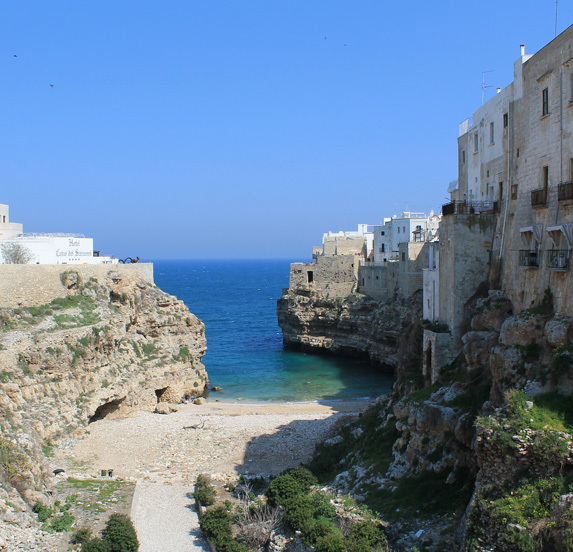 There are no major historical or cultural sites to visit in Polignano, other than the ones you will stumble upon as you wander around. In the summer, you’ll run into other tourists, but it doesn’t feel too packed, even in August. 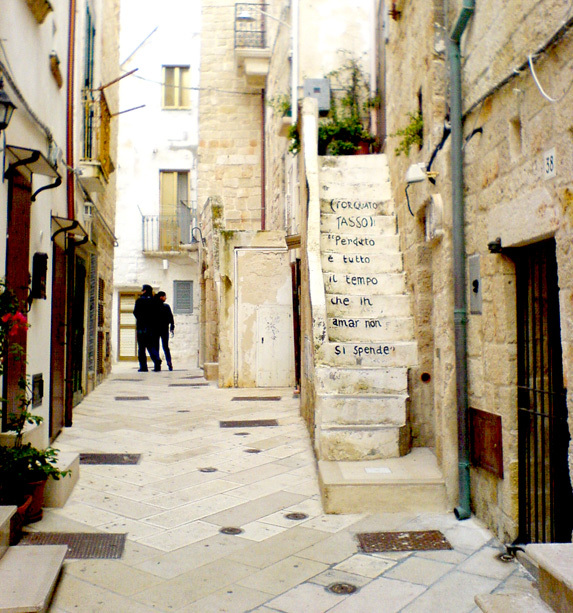 Then, within the historic center, keep your eyes peeled for an unusual “poetic” staircase with a quote from Torquato Tasso, and other bits of poetry painted on the walls. 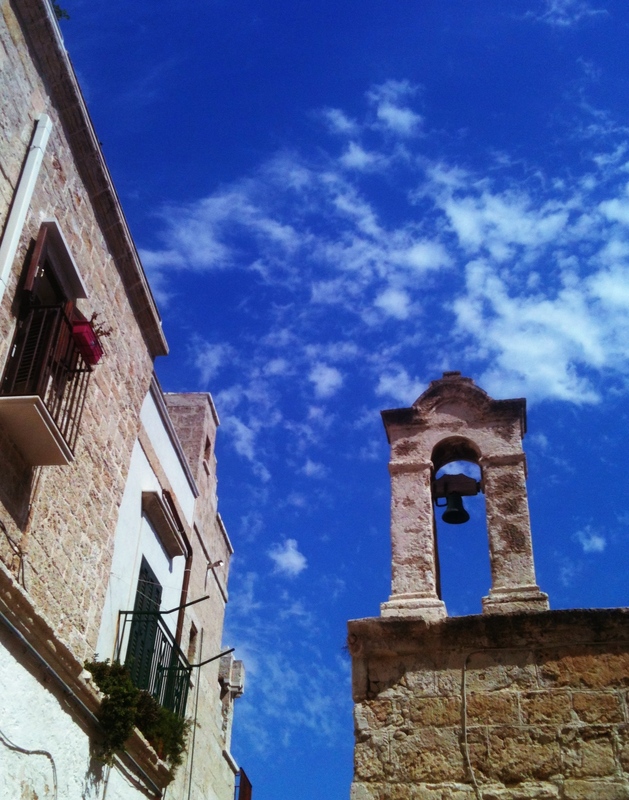 Third, look for the tiny medieval church of Santo Stefano (closed) with a funny little bell holder on top. This text is an excerpt from my new guide to Puglia through small towns like this one, trulli, and delicious things to eat. If you’re headed to the area, you can purchase this PDF guide on Unanchor or the Puglia Unanchor Travel Guide – Amazon Kindle version . And let me know if you find it useful!